Update: V4.8.1 New Mythic Hero Tabitha, Companion Marsh Crawler. Greetings from Grace Continent! Tabitha appears! Let us follow Tabitha and see what she’s up to do. In this update, we added new Mythic Hero Tabitha and new Companion Marsh Crawler. 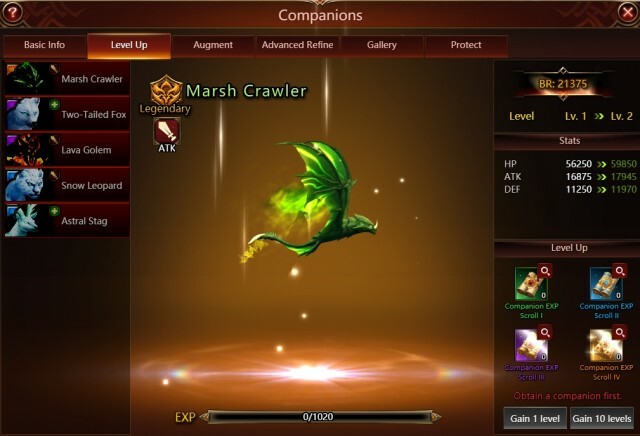 Come to unlock the new Companion Marsh Crawler and fight with Tabitha! >> Mythic Hero Tabitha: a new DPS Hero. > Black Flame of the Sinner: Those who have been burned by the flames of a Fire Dragon are scarred for life. Attacks the enemy with the highest ATK and deals damage to them. >Ancient Elegy: The return of the forgotten flames signifies the return of the Fire Dragons. Attacks the enemy with the highest ATK and deals damage. Also burns the target and deals target's max HP damage each round for many rounds. Adds an additional stack of Burn on a critical hit. Also absorbs of the target's rage (can exceed 100). 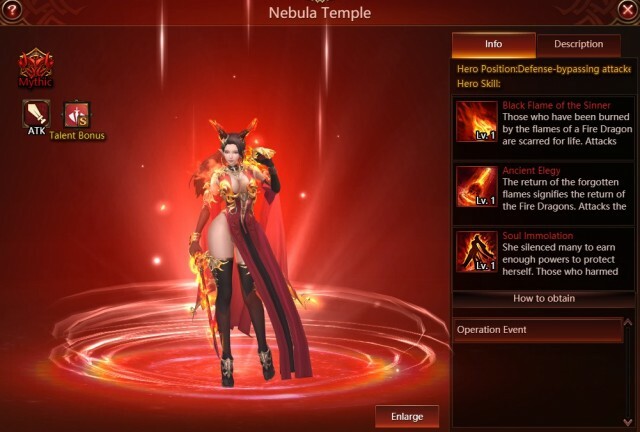 >Soul Immolation: She silenced many to earn enough powers to protect herself. Those who harmed her will pay considerably more than they ever imagined. Attacks all enemies and deals damage to them. Also burns enemies and deals target's max HP damage each round for many rounds. Adds an additional stack of Burn on a critical hit, up to 5 stacks. Deals 3% additional damage to targets that are already burning. Also has a chance to reduce the rage of 2 enemies by 30. A kind of lizard lived in the area of the swamp in Highwind Plateau. A depraved product of the ancient Dragon. Despised by Dragon families, even butchered by Dragon families owing to its symbol of deprivation. They live cautiously and eager to survive. Unlock Marsh Crawler, it can bring you around 20K BR.